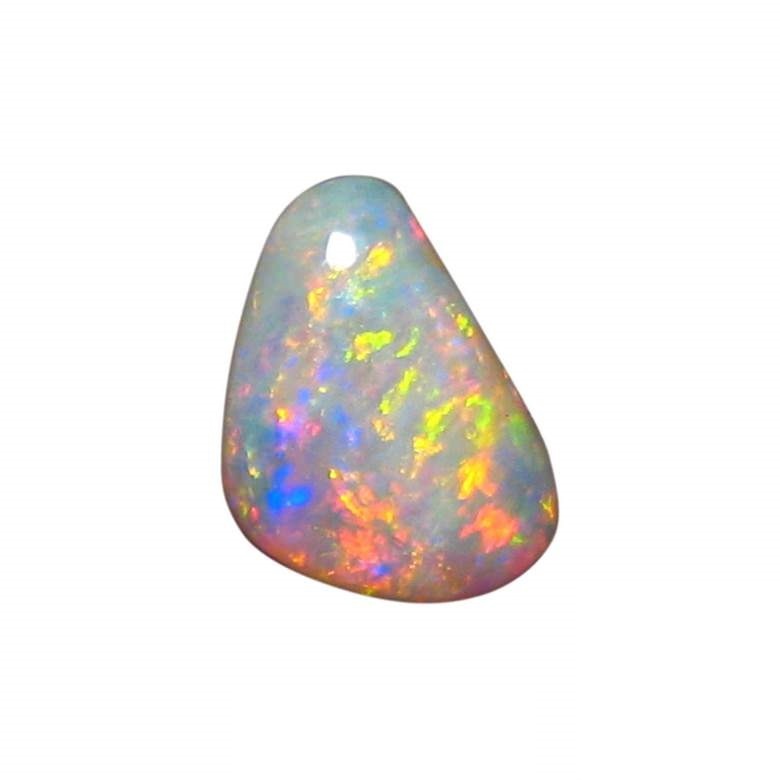 Beautiful loose Opal from Coober Pedy weighing 5 carats and ready to set in jewelry. 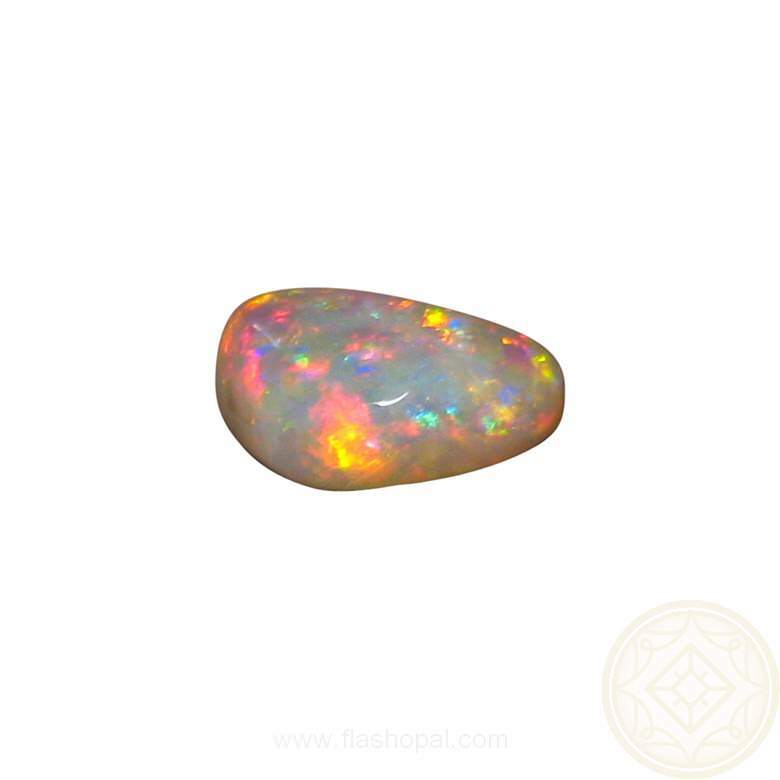 This Opal is from Coober Pedy and is classed as a Light Crystal Opal with a body tone of N7. 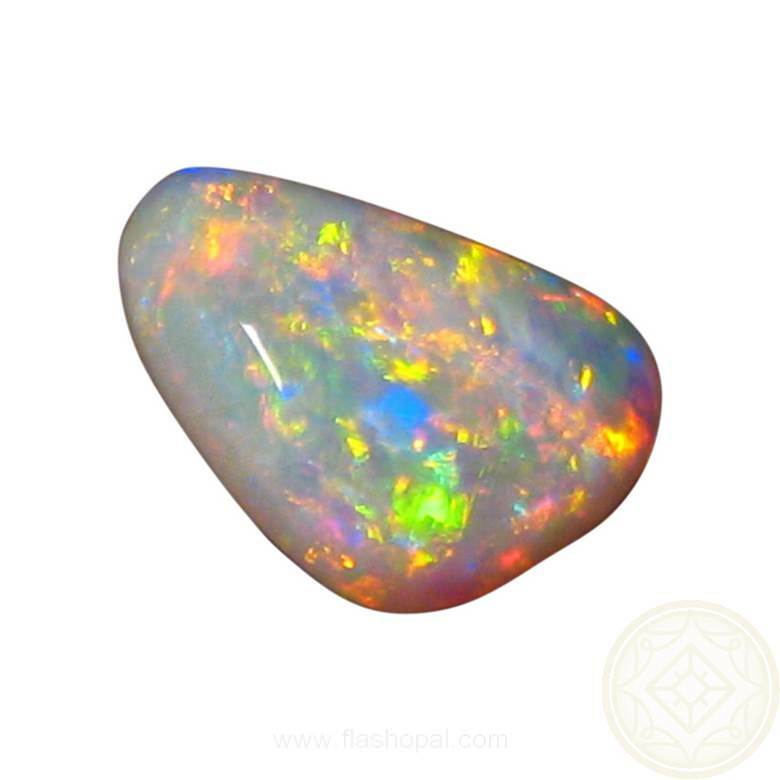 Free form in shape and flashes Red, Blue, Yellow and Green in a Patch Roll play of color which can be viewed in the video below. 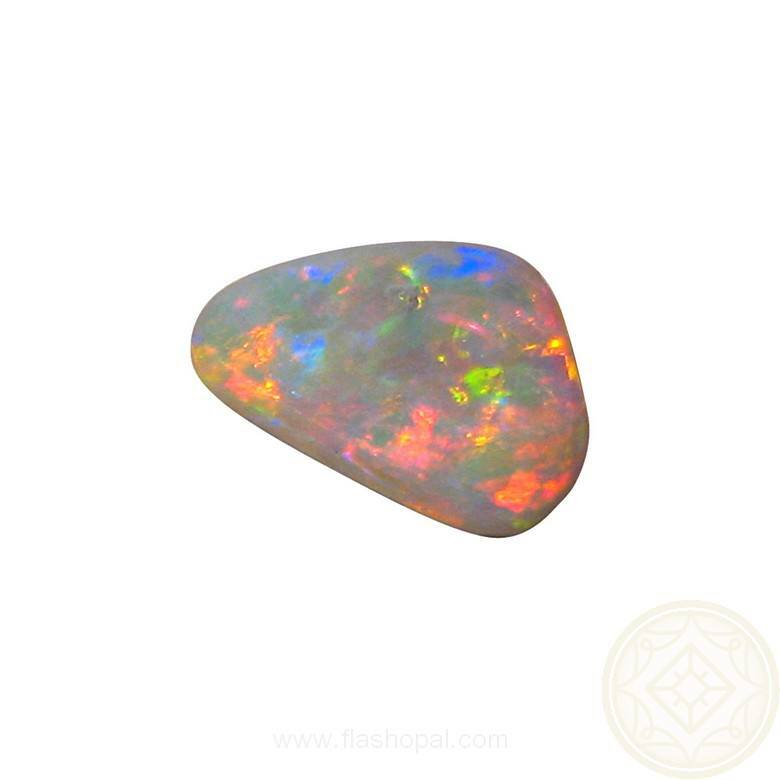 This loose Opal would be ideal in a Pendant setting due to the way the colors dance and will be noticed with the very bright colors.